The Manly Jazz Festival is on it's 30th anniversary this year. Running for three days until the Labour Day holiday, the jazz festival has 5 stages stretching from Manly Wharf, through The Corso, to the Manly Beach. It's just the perfect day for a jazz festival - the sun was out, trees along The Corso providing some cover, and a light sea breeze blowing. I listened to The Postmen at the Council Forecourt Stage, then continued on to a husband-and-wife band called Viva playing the guitar and the accordion. Moving on to The Corso Stage, the Benny's Boys were playing. At the Ocean Beachfront Stage, the full-bodied and versatile Michelle Nicole and her band performed till 4pm. I took the opportunity to sit on the roadside and read John Gardner's For Special Services, where Ian Fleming's James Bond seduces the girls, drives fast cars, foils the bad guy's plans, and saves the world. Back at the Council Forecourt Stage, the Chatswood High Stage Band was wowing the crowd. Would've loved to stay, but I had a ferry to catch. 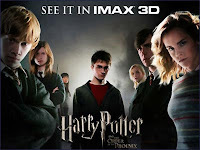 Went to Darling Harbour to watch Harry Potter and the Order of the Phoenix in IMAX 3D with a friend. Thanks to Star City, I managed to score 2-for-1 tickets for the show. Regular admission is $25 per adult. It's a good thing my friend has watched HP: OofP before. Last time I went to an IMAX theater, I had to leave in the middle of the film because I started getting really dizzy and was just about to puke. The screen size was really impressive, the movie was not. I've read the book, and thought it's a waste of the paper it was printed on. The movie is not much better. The recurring problem with Harry Potter (the book) is the weak plot and the lame side-stories. Rowling tries to spice things up with a myriad of characters and their little histories, but in the end, I still don't feel for them. Take away the clumsy love triangles, the secret magical trainings, the juvenile pranks, the petty house rivalries and faculty politics, and all you end up with is Voldemort trying get into Harry's head, and the showdown between the Order and Dumbledore's Army vs. the Death-Eaters and Voldemort. That segment at the Department of Mysteries is rendered in 3D. That's about the best thing about the whole movie. Always recommended to have something to eat before the start of a movie. Halfway into the movie, my stomach's growling already. 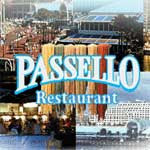 By the time we finished the movie, made our selection from the Sydney Entertainment Book, and got a table at Passello, my stomach has given up complaining. The beef lasagne and the chicken caesar salad taste quite good. Actually, anything's good when you're hungry. For dessert, we had hazelnut chocolate and green tea latte from Starbucks. Checked out the Earth from Above photo exhibition along the Urban Stream, featuring 120 large-scale aerial photographs by award-winning French photographer Yann Arthus-Bertrand. By the time we finished viewing all the pictures, it was already 11:30pm. Parking at the Exhibition Centre - $18. A great night-out - priceless.